I sometimes think if I see another kitchen with white shaker cabinets and white subway tile my mind will explode! But then when I look through my portfolio, some of my favorite projects are just that. So, what is a designer to do? Embrace the trend of the modern farmhouse and give my clients ideas on how to make it their own. For this project, we used real brick for the splash. Not only did it bring in some much needed color into the room, but the texture is amazing. I love seeing my client's photos on Facebook cooking in this kitchen with her children. This was designed in 2012 and still feels like it was designed yesterday. This is a classic, all-white kitchen. 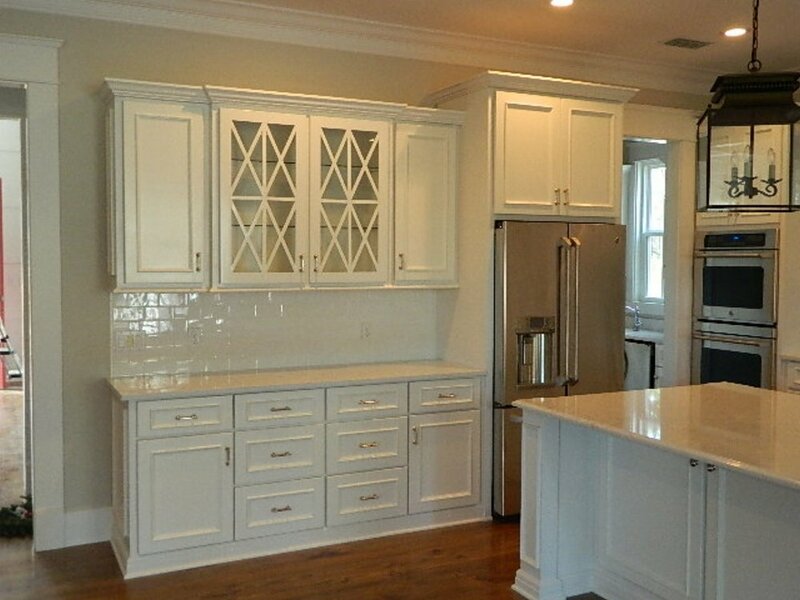 White cabinets, white counters and white back splash tile. But, what I love the most about this kitchen is the x-design we used on the glass front doors. I use the hashtag #designisinthedetails a lot on my Instagram posts and this is a perfect example of how important those details are when designing a modern farmhouse kitchen for your family. My biggest piece of advice - make it your own! One of my favorite kitchens was one I designed a few years ago for a sweet family moving to Tallahassee from Atlanta. 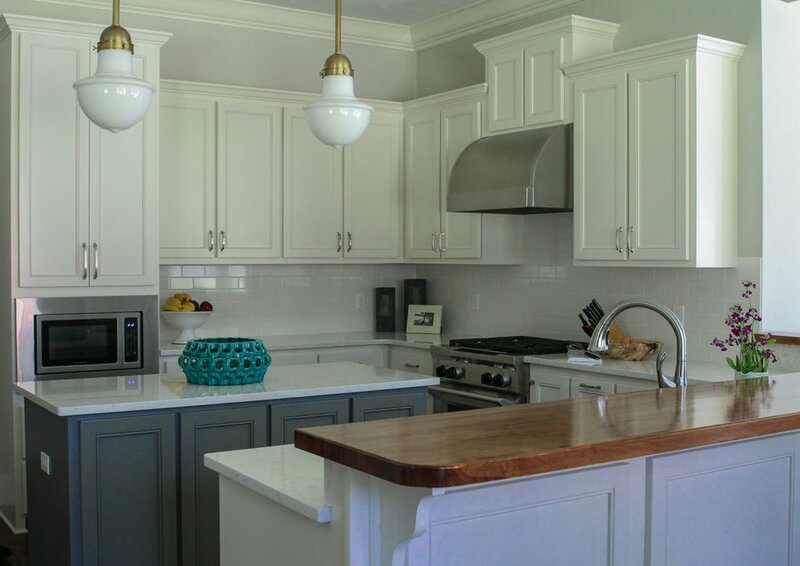 As you can see, we did white shaker cabinets and white subway tile, but my client wanted a wood counter. We opted to do the raised bar out of a stained wood. A great idea that I still love so much today! Last week I presented finishes for a builder's spec home. This means I had to design a kitchen that would appeal to the masses. So, I'll give you two guesses to what they wanted. Right! White shaker cabinets, but I am mixing it up a bit and instead of white tile, we are doing gray. Oh, and wait until you see the tile we are doing around the fireplace. Greenbriar is a brand new project in Tallahassee and I can't wait to share more about it on a future post.